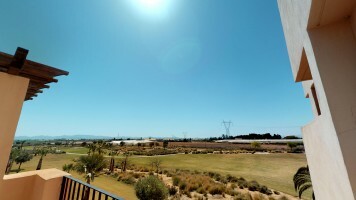 Bill & Joy at Villa Solera have been Property Managers for our apartment Casa Sangria on the Mar Menor Golf Resort since 2018. We are very pleased and impressed with the service we have received during this time and would not hesitate to recommend them. We had a problem with our air conditioning/heating unit that was uneconomical to repair and needed replacing urgently during a holiday period. Bill and his team dealt with this on our behalf quickly and efficiently. Joy keeps in regular contact regarding our apartment with whats app updates and pictures that are very reassuring when we are at home in the UK. We have invested a lot of money and time in our apartment and feel totally comfortable in leaving it in the safe hands of Villa Solera a local established company. Now Villa Solera are working alongside Murcia Holiday Rentals we feel we have the complete seamless package for our apartment. The Team at Villa Solera (especially Joy and Bill) have been nothing short of amazing since taking over the management of our property in the Mar Menor Golf Resort in 2017. Nothing is ever too much. From meeting and greeting the guests, looking after the cleaning of the property, through to rental advertising and overseeing the construction works at our Villa, they have been fantastic. Professional, quick to reply (usually within a matter of minutes), and even had the time to look after an issue that we had with our Spanish Bank. The Team go that extra mile to ensure that our guest arrivals are treated to a 5* experience, helping with resort transfers, welcome packs and even birthday gifts for those seeking to surprise their loved ones when they arrive. Honestly, we cant thank them enough. For the small amount of money that we pay them, the feedback that we get from guests and the knowledge to know that our property is being looked after like it was their own, gives us peace of mind. We have used other property management companies, and without going into the goods and bads of those, you honestly could not compare the level of service and professionalism that we get from Villa Solera. From the bottom of hearts, thank you for everything that you do for us. We have owned our apartment on MMGR2 for three years and it is our “pride and joy”. One of our immediate priorities was to find a key holder/manager we could trust and rely on to care for our home as if it were their own. We are very fortunate to have found Joy and Bill Kundalia of Villa Solera who provide a five star service and are always at hand to go “the extra mile” when asked. Whether it be arrival cleans, repairs, shopping or favours, they give you their undivided attention to exceed your expectations every time! Thank you Joy and Bill for your professionalism and friendship. 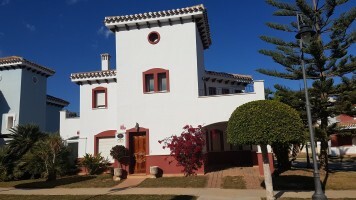 We have owned our villa on Mar Menor Golf resort since it was built. I had not enjoyed owning it until Joy and Bill Walked in to our lives. We took them on several years ago to manage the property and have never looked back. I cannot praise them highly enough. They are the 4th emergency service and without them I would of sold up by now. Totally professional, but so friendly and such lovely people. I have never known Joy deal with any problem with anything but kindness and calm. So reliable and trustworthy I know I can leave everything to them. Bill has helped me out with major renovations to the property, and the purchasing of major electrical goods. What amazes me is nothing is too much trouble . I have had 2 major problems recently to do with plumbing and air con and both were sorted in superquick time. Joy organises the villa for my friends and they all love her to bits. the villa wouldn't be the same without them. Bill and Joy are amazing and professional people who helped make my husband and I enjoy the experience of moving into our new apt... it was everything we had hoped it would be. They guided and helped us make large decisions when we were not very sure what to do and their advice was spot on. What could of been a very anxious and stressful time was made painless thanks to Bill and Joy! I would highly recommend them. Fantastic service. 10/10!!!! We have had a villa on Mar Menor since the resort opened, but it is only since Joy and Bill started looking after it that everything started to tick, and we've started enjoying being home owners here. For the past few years Villa Solera has managed our villa, and it has been maintained in great condition, and if any issues crop up, they are taken care of straight away. The guests that have stayed at the villa without fail comment on how helpful Joy has been. We took this confidence to buy a bigger home on the resort, and as we have been away from Spain, entrusted Joy and Bill to look after turning the house from a vacant shell, into a beautifully finished, comfortable home. In a short space of time they worked miracles to get everything in order, and always communicating so that every aspect was delivered as agreed. We couldn't do without these superstars! Thanks so much folks!! We have been clients at Villa Solera for many years now. The service we receive from Bill, Joy and the team is second to none. Nothing is ever too much trouble for them. We recently had an air con issue which they sorted out before our next visit. All our maintenance needs are dealt with efficiently and promptly. Our home in Spain is safe in their hands. We wouldn't be without them! Thank you, diolch yn fawr! Over the last 12 years Nico Zentfeld and his staff at Villa Solara cannot be praised highly enough. There isn't room on the page to list all the occasions when they have pulled out all stops to ensure that the Brydons, their clients and friends have the very best of times. There are few people I have encountered in my 64 years who are as reliable, trustworthy and totally dependable as Nico Zentfeld. Living 2000 kms from a Spanish home has many potential pitfalls, on so many levels Nico and his colleagues have made it simple and achievable. We have just completed our first year with Villa Solera and could not be more pleased with the service we received...buying and owning a property in Spain was a big deal for us and a somewhat daunting prospect but Villa Solera, through both Bill and marvellous Joy have removed all our worries and left us with only positive thoughts. Our regular 'what's app' messages from Joy are always a pleasure, keeping us in contact with our dream, nothing is too much trouble for Joy. Here's to many more years with Villa Solera. Met Joy 3 years ago, and we clicked from day 1. She runs a brilliant service, nothing is to much trouble, she has done so much for us, I know I would of not got the same service from any other company. Bill has been fantastic from sending in a gas repair man within an hour too translating for us at a train station!!! Fantastic service. Keep up the good work guys! We have used villa solera for the last 4 years and cannot recommend them highly enough. Our house is well looked after in our absence and always beautifully clean on our arrival. We have had a few small emergencies over the years which have always been calmly and quickly dealt with by Joy. Villa solera have contacts to sort out any problem! We would be lost without Joy and her team and are looking forward to many more years together. My wife and I have used a number of providers in the past with little or no satisfaction. It would be hard to imagine competitors being able to offer a better service than Villa Solera. We don't have to continually phone and ask if things have been done, we know that everything has been done to a very high standard. We have no hesitation in recommending Villa Solera as a thoroughly honest and reliable service provider. Both Joy and Bill ( Villa Solera) have managed my properties in Spain for 10 years + . then you'd want to be prudent and use them to help you. There's a lot of outfits who claim to be many things and these guys are the real deal. Spain can be a delight or a headache - your choice. Bill and Joy have looked after our properties at Roda for 4 years and take care of everything, absolutely brilliantly. From inspecting the properties when we are away, getting them ready for our and our guests arrival, organising and arranging a long term let for one of our properties, they cover all the bases perfectly. They take away all the potential hassle out of owning a home abroad, which allows us to just enjoy it. Don't buy a home in Spain without having Villa Solera look after it for you! 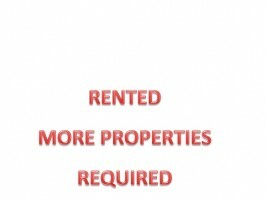 Since 6 months we work with Joy and Bill for property management. We are very satisfied about the service and communication. It is a pleasure to arrive on our vacation house after a long trip. Everything they take care of…follow up on works, house cleaned, key service, furniture on the right place, wifi connected and even food or drinks if you require. And also when we are not there, Joy takes care of the property and needed administration. It really gives us a very comfortable feeling and no stress! This is how a vacation home should be! They are very good in what they do , we can only recommend them!" ("Sinds 6 maanden zorgen Joy en Bill voor ons huis in Spanje. We zijn zeer tevreden over hun service en communicatie . Het is een plezier om toe te komen na een lange reis. Aan alles denken ze … opvolging werkzaamheden, schoonmaak, tuinmeubels op de juiste plaats, wifi aangesloten, en zelfs eten en drinken willen ze gaan halen voor je. Ook als we er niet zijn, zorgt Joy en Bill goed voor ons huis en de nodige administratie. Dit geeft ons een heel aangenaam gevoel en geen stress! Wij bevelen villa solera warm aan! We have been very fortunate to have Joy and Bill Kundalia at Villa Solera as our Key Holders and Property Managers for over 10 years now. We are delighted with the consistent quality of service provided, and the meticulous care taken to ensure our guests enjoy their stay. The 5 Star reviews we regularly receive on Trip Advisor are testament to the care and attention to detail that Joy and Bill alway provide. From sourcing and managing the installation of all our furniture, white goods, fixtures and fittings when we first purchased the property, to the regular and ad hoc inspections Joy undertakes (and the email updates that follow) our Townhouse on La Torre has always been well cared for and expertly managed. Put simply, nothing is too much trouble for Joy and Bill to deal with. Villa Solera Service stands even for much more than this, they helped us with furniture, the white goods, lightening so we could, even when we were not in Spain, we can be sure that everything was ok. All our questions were answered and we got a lot of good advice. Bill and Joy Kundalia are also our key holders and we couldn’t be more pleased with this. On a regular basis Joy visits our property in Spain to see if everything is ok and even before we arrive she makes our home ready for our holiday. We are very satisfied with the way everything went along.